Looking for an objective review of the 2017 Vauxhall Insignia Sports Tourer? OSV has got you covered, from engines to lease deals. The new Vauxhall Insignia Sports Tourer is a comfortable, well-built family car that will appeal to anyone who wants a stress-free experience on the road. Fit and finish is good, both outside and in, with Vauxhall putting the effort in to make sure that this is a car which will be able to cope with everything that the modern family can throw at it. Running costs are competitive, and thanks to supportive seats and decent noise insulation, it’s an attractive all-round package. 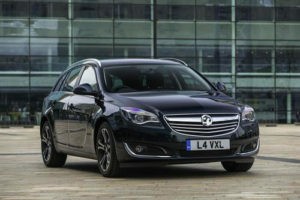 OSV takes a closer look at what it’s all about with our Vauxhall Insignia Sports Tourer review. The name is deceptive, because this estate car is far from being sporty. As a motorway cruiser, on the other hand, it works well. There isn’t much dynamism, though. For engagement and entertainment, you’d be better off looking at the Mazda 6 Tourer instead. What you have here is well-weighted and sharp steering, easy-to-use controls, and a series of powerful engines that have a fair amount of pace. Out on long stretches of road, the car proves to be a good companion. Ride quality is supreme, external noises are well-kept out of the cabin for the most part, and the seats offer enough support and comfort. The diesel engine is a bit noisy, but it’s a minor criticism. With four petrol units to choose from, you might find it difficult to make up your mind. However, one of them is only available with the range-topping model, and is therefore a largely unrealistic option for most buyers. It costs a lot to buy, and offers poor running costs. It does develop up to 321bhp, though, so may be worth a look for anyone who needs all of that crushing might. The 2.0-litre petrol is our top pick. It’s more responsive than either the 1.6 and 1.4-litre variants, though it is more expensive. All of the petrol engines are much quieter than the diesels, and none are what you’d call a bad choice. All can satisfy the demands of a car as big as this. 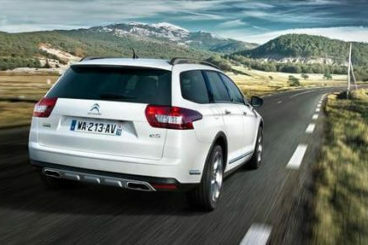 The most popular engine up to now is the 2.0-litre CDTi diesel engine that comes in a few power guises. It’s the most efficient in the range, with no version returning under 60mpg. It is a tad noisy, though. For a quieter diesel, you might want to check out the Whisper diesel that delivers up to 168bhp, and which can get you from a standstill to 62mph in 9.4 seconds. That time actually makes it one of the fastest engines in the Insignia’s line-up. The Insignia’s cabin is a nice place to spend your time, not least because of the supportive seats that offer plenty of comfort and adjustability. Build quality is good, and there is a generous amount of standard kit that comes with the car. The materials used throughout are good, and there is a real robustness about the cabin; you get the impression that it’s going to last you for a good few years. Indeed, you can compare the interior to ones found in premium rivals and not see too much of a difference. It’s impressive stuff, even if overall fit and finish falls short of the standards set by the likes of Audi. We like the huge touchscreen that freshens up the cabin while adding a touch of class. The multimedia display controls most of the functions, and you use the multifunction steering wheel to control the rest. As such, button clutter is no longer an issue inside the Insignia. The Vauxhall Insignia Sports Tourer is a fairly practical car, but the size of the boot might be a deal breaker for some of you; measuring 540-litre, it’s far from being class-leading. If you fold the rear seats, you can increase the amount of space to 1,530. Remarkably, this means that the Astra Sports Tourer can offer more space with the seats folded – and it sits in a lower class. However, the Insignia is one of the longest cars in its class, which means there is plenty of knee and legroom. Headroom in the rear is compromised by a sloping roofline, which also reduces the size of the rear windows. The domino effect continues, as a smaller rear window restricts visibility. Cabin space on the whole is good, though, while there are lots of storage spaces to be found in the likes of a useful-sized glovebox, compact cubbies here and there and spacious door bins. Standard kit is good across the range, with the base-level Design trim getting a tyre-pressure monitoring system, a DAB radio, climate control and cruise control. The Tech Line model adds the brand’s IntelliLink satellite navigation system, as well as an easy-to-use digital instrument display. Both these models miss out on Apple CarPlay, which you get in the more upmarket trims. They also miss out on the brand’s OnStar service and connectivity assistant. In terms of optional extras, we recommend the front and rear parking sensors, as well as FlexRide for even more ride comfort. Prices for the new car start out from £19,700 and rise to £29,200. In terms of its running costs, the Sports Tourer is appealing. The 1.6-litre diesel engine is the most efficient in the range. It can average fuel economy returns of 72.4mpg and costs £20 a year in road tax. From there, keeping the car on the road gets a bit more costly. The 168bhp diesel is only good for returns of 60.1mpg , which is significantly worse than its alternative in the Skoda Octavia Estate, which is good for 67mpg. Resale values are average at best, while the cheapest Insignia Sports Tourer to insure sits in group 15. The most expensive occupies group 28. The new model is sleek, stylish and sport. It looks great. The 540-litre boot is one of the biggest in this class. The CDTi diesels are far from quiet, and they channel their gruff mumblings into the cabin quite easily. For one reason or another, this car just doesn’t sell all that well. Is there an image problem? Perhaps. And it could be this that affects resale values. Let’s see how the car measures up against its rivals in the comparison section of our Vauxhall Insignia Sports Tourer review. 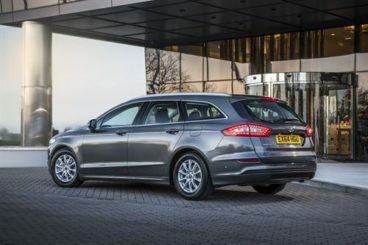 The new Ford Mondeo Estate has more space than the outgoing models, and it’s also more stylish. There’s now a really commanding look about it that wasn’t there previously. You can always rely on Ford to produce the most fun-to-drive car in one of the mainstream sectors – but not this time around. 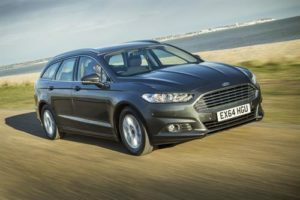 The American brand have decided to tone down the Mondeo Estate’s drivability, preferring instead to focus on making it comfortable and quiet. As such, the steering is lighter, it’s not as precise at cornering, and it ultimately inspires less confidence. There a handful of petrol engines to choose from. Our top tick is a 1.5-litre EcoBoost unit that can do 0-62 in 9.3 seconds. And it feels just as fast as that. If you want to save on fuel, a 1.0-litre EcoBoost is cheaper to run, but it finds it hard to cope with a fully loaded Mondeo. The quickest petrol, meanwhile, is the 2.0-litre EcoBoost. It will do 0-62 in 8.0 seconds, but you can’t get it with a manual ‘box. The diesels are all good enough, and the 148 and 177bhp variants of the 2.0-litre engine can be fitted with four-wheel-drive for extra grip. However, you could instead just choose winter tyres, which are a cheaper alternative. Ford have made a concerted effort to reduce running costs, and they’ve done a good job. The petrol engines will be the dearest to run, with the 1.5-litre EcoBoost managing to return fuel economy of 47.9mpg at best. The 2.0-litre TDCi diesel in 148bhp form is good for returns of 67.3mpg, which is very respectable. The Mondeo Estate has never been better built. It’s easy to get comfortable, and the steering wheel and driver’s seat offer lots of adjustment. The dash looks much better, thanks to the introduction of an 8” touchscreen that has eliminated the need for so many buttons. Ford has also kicked the maligned touch-sensitive heater controls, replacing them with regular old buttons. Practicality is good. It’s fairly easy to park, despite its size. Parking is helped if you add the £450 parking sensors, while the £545 Active Park Assist system makes it even easier to park up. Headroom is better than in the Mondeo Hatchback version, due to the fact that there is no sloping roofline. Large windows brighten the cabin up nicely, but there probably isn’t enough room for five adults. Four, however, will be just fine. The boot, meanwhile, measures 525-litres. This is far from class-leading, and it’s also 12-litres smaller than last time. 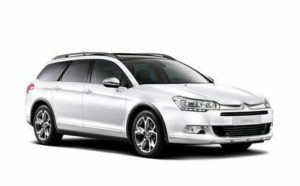 The new Citroen C5 Tourer Estate probably does comfort better than most other cars in this market. It’s also pleasingly luxurious and stylish. The C5 is right at home out on the motorway, where it can cruise along for miles on end without a care in the world. Take it on twisting roads, though, and its deficiencies are exposed. It was the French brand’s aim to make their new C5 Tourer supremely comfortable, and they’ve succeed. Opt for the range-topping model and you’ll benefit from something called Hydractive 3 suspension system, which adapts the car to the road surface or you driving style. And it does this automatically. And despite entry level models only getting steel suspension, they’re still remarkably comfortable. There are no petrol engines in the line-up and only one diesel, so you won’t need to spend too much time choosing your model. Both diesels are 2.0-litre BlueHDi’s – one is a 148bhp variant, and the other delivers up to 178bhp. Basically, you’re choosing between a pair of trim levels. Both are good enough to thrust this sizeable car from A to B and further. They’re also both refined, and are excellent on the motorway. They also both achieve identical fuel economy returns of 64mpg, and both will land you with a £30 yearly tax bill. If there is one area that lets the Citroen C5 down slightly, it’s the interior. It’s comfortable, but the overall quality isn’t quite there. Your best bet is the range-topping Executive Techno model which gets adjustable suspension as standard, as well as a variable ride height. The interior on both models, though, is on the whole well-put together, and we like the fact that the touch points are composed of cold metal. The C5 Estate is roomier than its saloon counterpart, and it also does away with the C5 Saloon’s sloping roofline. As a result, there is plenty of headroom in the rear. Clever practical touches include a £210 Accessory USB Box, and a £151 rear-mounted bike rack. You don’t have to pay extra for the 505-litre boot, though, which is just as well as it’s one of the smallest in the class. 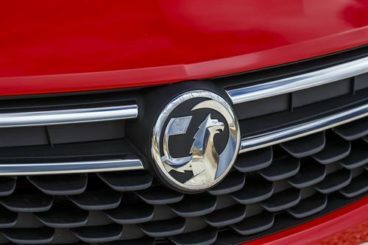 It’s taken a while for Vauxhall to get this car right. It replaced the old Vectra Estate in 2008, but while it looked sharper and drove much better, it wasn’t as practical. In 2017, it’s arguably one of the most practical cars in this class, helped in no small part by a large boot. It also remains one of the best looking family estate cars on the road right now. In short, the new Vauxhall Insignia Sports Tourer represents an excellent choice.